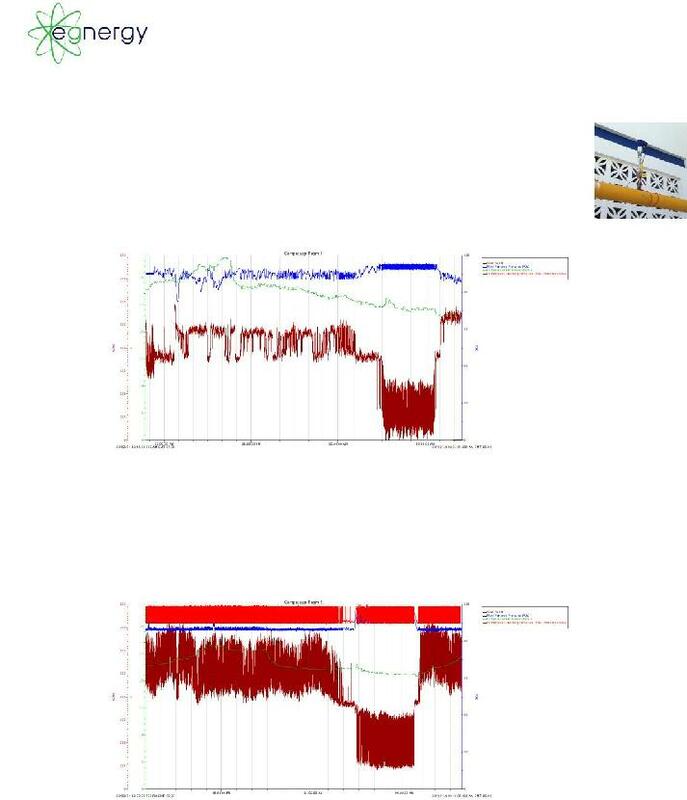 The purpose of this report is to convey the results of the compressed air flow study performed in on two 100 HP air compressors located in Compressor Room 3 at Alcom’s Reynosa Mexico facility from Tuesday September 2nd through Monday September 8th of 2014, and an analysis performed on venturi vacuum equipment installed in the MD2 production area. The reason the study was performed on Compressor Room 3 is to ensure the compressors in that room were operating at design flow and pressure and verify the remaining compressor capacity for expanded production in MD2. The minimum, maximum, and average of the data is represented in the table below. 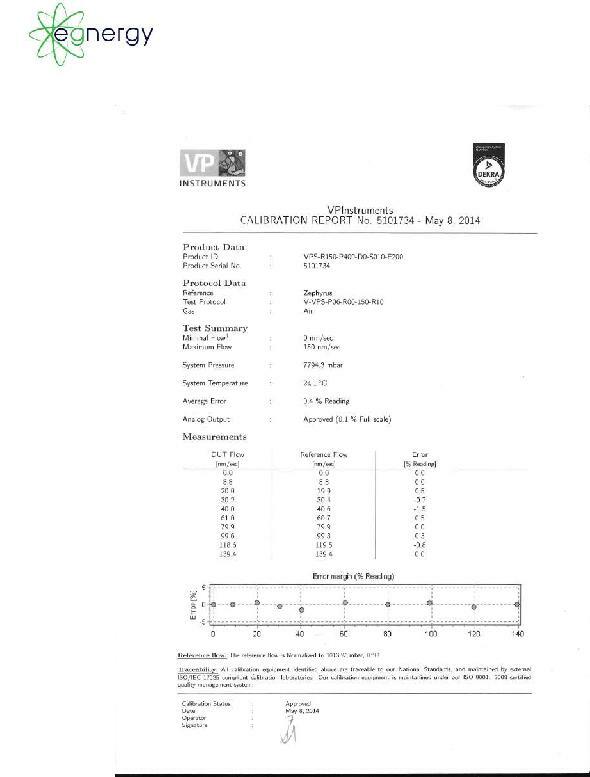 The chart below is the results of the test on the venturi vacuum system. The chart shows that a large change in compressed air flow does not result in a large change in vacuum flow. 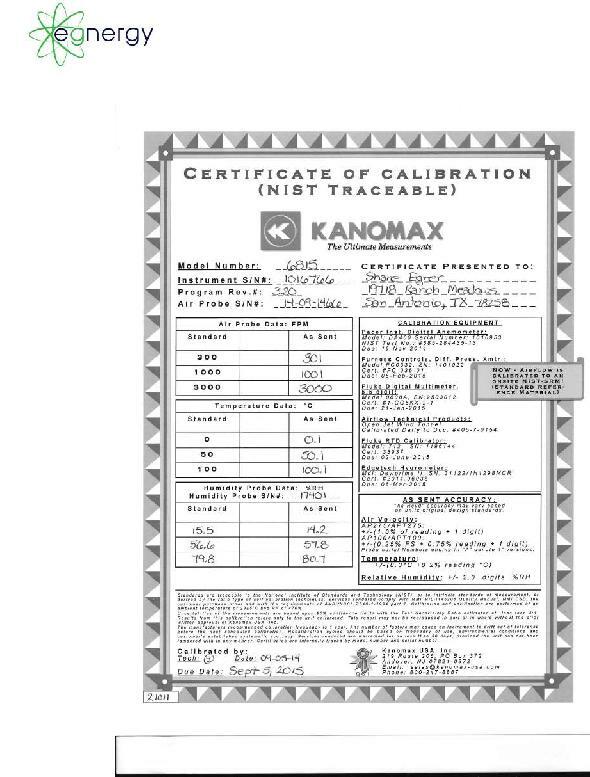 Vacuum flow and air handler air flow was measured using a Kanomax™ Model 6815™ Hygro -Thermometer Anemometer. The 6815 measures air flow, humidity, and temperature and can output the readings to a data logger via 0 – 5 Volt signal. 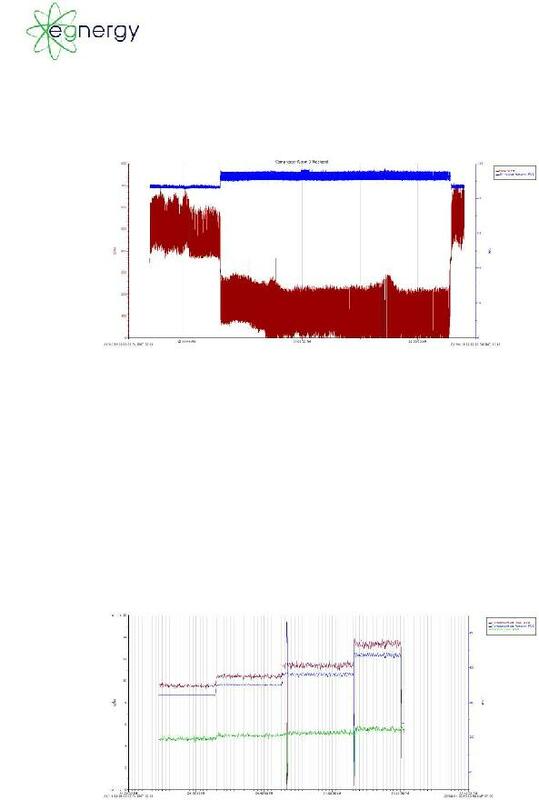 The measurements for flow, pressure, and compressor power were recorded using a Onset UX120-006M data logger. The data is read and graphed through Onset’s software called HOBOware. Pressure and flow were monitored in Compressor Room 3 using a VPFlowscope insertion flow meter. This test was performed to ensure both 100 HP air compressors (495 SCFM Capacity) were operating properly. It was found that while both air compressors were running, only one air compressor was generating air. This was due to a malfunctioning cylinder in the inlet of one of the air compressors. 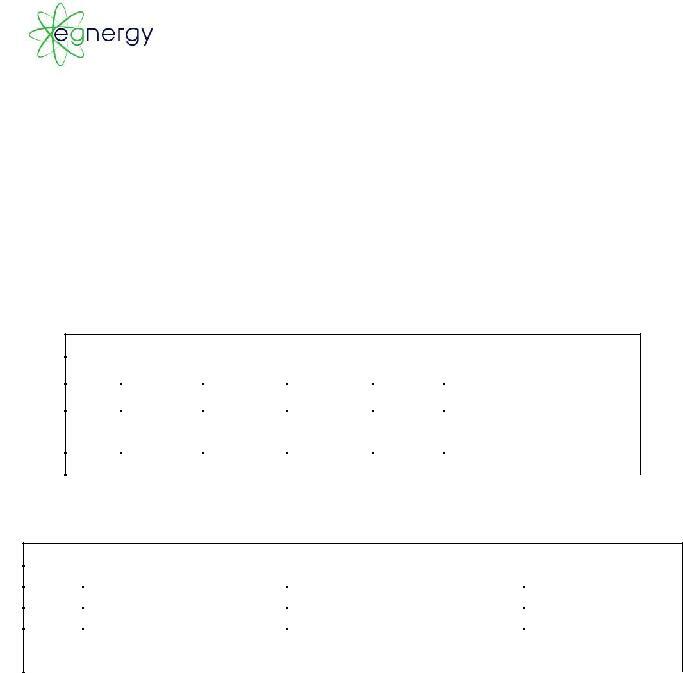 The graph below shows that the maximum flow from Compressor Room 3 is around the flow of one of the air compressors. Once the 100 HP air compressor in Compressor Room 3 was repaired the flow from the compressor room increased dramatically. The compressors were found to be loading and unloading too quickly due to a clogged dryer pre filter. The graph below shows flow from Compressor Room 3, pressure in the header entering the compressed air distribution system, and pressure at the discharge of the compressor. The average flow from Compressor Room 3 during the day was found to be 587 SCFM with a differential pressure across the clean up equipment of 7 PSI. Average pressure of air fed to the plant during this time was 86 PSI. There is potential for 3.5% savings on compressor power just by eliminating the pressure drop! The flow meter was installed over the weekend to monitor the flow used by the SMT area of the plant. The average flow of compressed air during the weekend was found to be 65 SCFM. The SMT area is the most sensitive to changes in pressure, but uses the least amount of flow of compressed air. The compressed air flow, compressed air pressure, and venturi vacuum flow were measured to determine if the compressed air pressure and flow could be reduced to the vacuum systems to reduce compressed air demand. This test was performed by installing a regulator at the inlet of the inline flow meter in the compressed air line going to the Osawa silent cleaner vacuum system. The Anemometer was installed at the vacuum inlet to measure the flow of air into the cleaner. 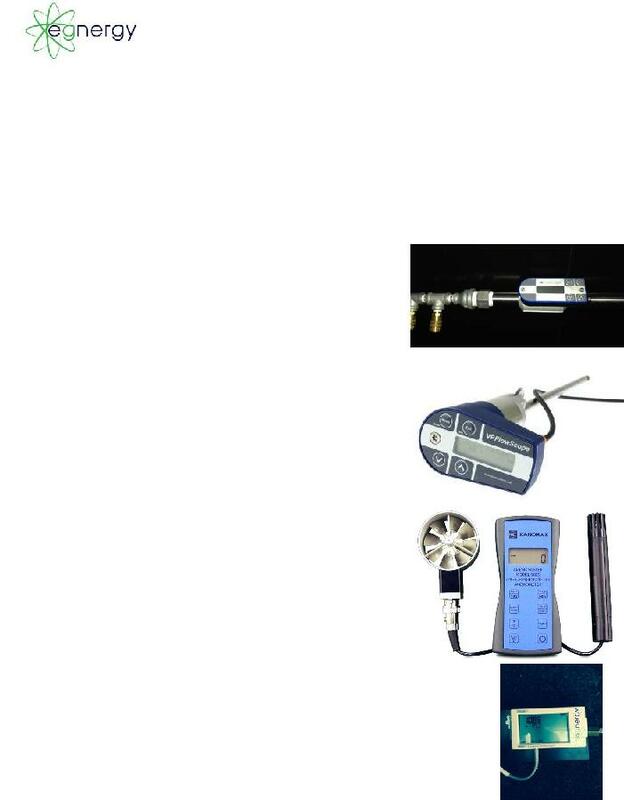 Compressed air flow and pressure were logged using the inline flow meter and vacuum air flow was measured with the Kanomax anemometer and HOBO data logger. The graph below shows how changing compressed air pressure effects compressed air flow and vacuum flow. 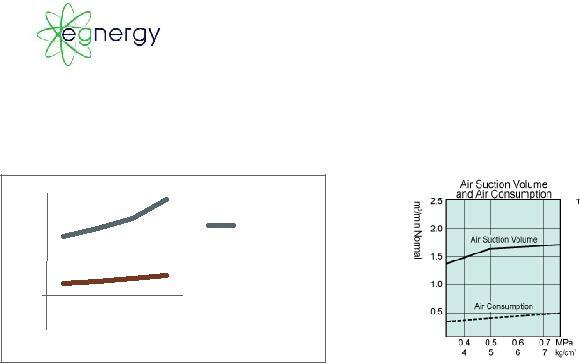 The data shows that increasing compressed air pressure by over 20 PSI only results in an increase of vacuum flow of around 1 CFM but there is an increase of compressed air flow of 4 CFM. If we assume the compressed air system is operating at 4 CFM/HP this increase in air flow results in an increase in power of .75 KW and if the MD2 assembly area operates 1,800 hours per year with a power cost of $0.113/KWhr. Reducing pressure to each vacuum unit to 45 PSIG will result in a potential cost avoidance of $150 per year per vacuum! The data collected was compared to the data from the manufacturer of the vacuum system. The author of this report is not trying to discredit the manufacturer of the vacuum systems. 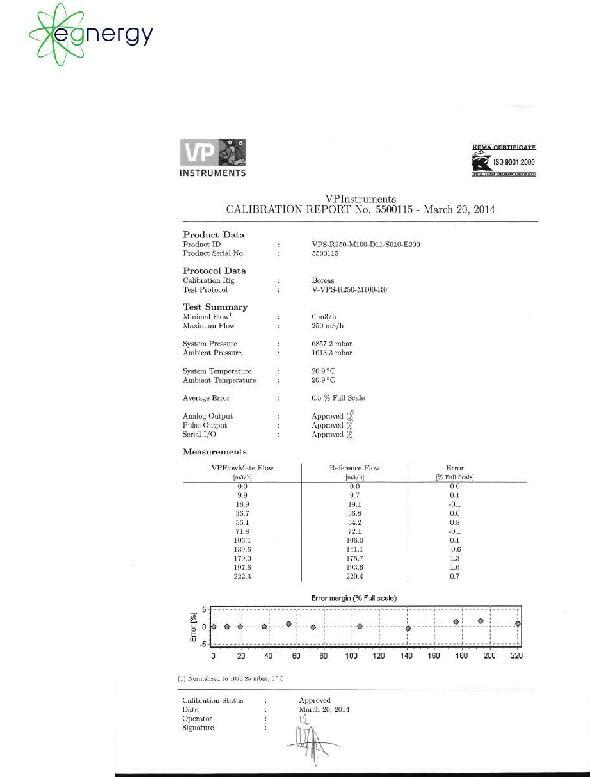 The method of measuring the data by the manufacturer is unknown. The data is presented to show the relationship of vacuum flow to compressed air flow and pressure. 3.Replace the inline filters installed between the air compressors and the dryers with a high flow “mist eliminator” type filter.